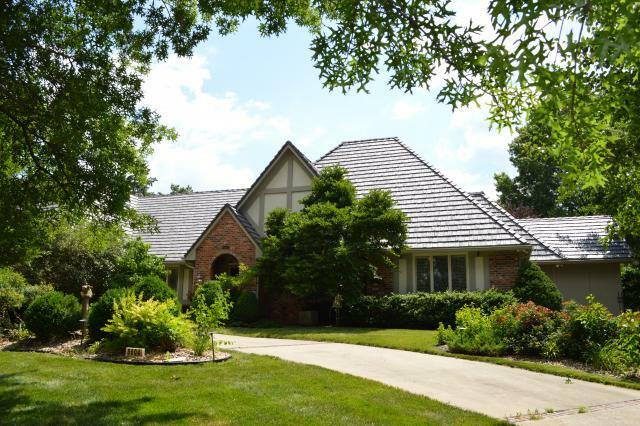 A successful real estate agent in the Overland Park, Kansas marketplace for 28 years, Sharon Sigman has a deep understanding of what types of exterior products help add value to a home. So, when it came time to have the roof replaced on her own home, Sigman did her research and ordered a Bellaforté Shake roof from DaVinci Roofscapes. "The wood shake shingles on my home were damaged from hail storms and years of exposure to the sun," says Sigman, owner of West USA Realty. "About two years ago I saw a neighbor had installed the polymer shakes from DaVinci and that started me thinking about the value these roofing tiles could have on my own home." Sigman, whose real estate agency employs 20 people, found that the impact- and fire-resistant fake cedar shake roofing tiles from DaVinci were backed by a 50-year roof limited warranty. Her insurance company liked those qualities and offered to give her a rate break if she installed the reliable roofing product. "People constantly ask me what type of roof I have on my house," says Sigman, a resident of Prairie Village, Kansas. "The authentic look of the polymer shake and the Abruzzo blend coloring are just amazing. People really do a double take when I tell them it's not a real wood roof." The Bellaforté roof installed on Sigman's home was created by DaVinci Roofscapes to have a multi-width appearance replicating hand-split real cedar shakes. The composite shake tiles feature slanted sawn edges and staggered lengths. The product’s patented features, which include a leading edge tab and a self-aligning ledge, help reduce the installation time for the Bellaforté Shake product. A square of Bellaforté Shake (with 100 pieces per square) weighs just 190 pounds. This lower polymer roof tile weight helps reduce installation time and transportation costs. Just as with other DaVinci products, the Bellaforté Shake synthetic shake shingles are 100 percent recyclable. For more information on DaVinci shake alternative roofing products visit DaVinci Shake Profiles.